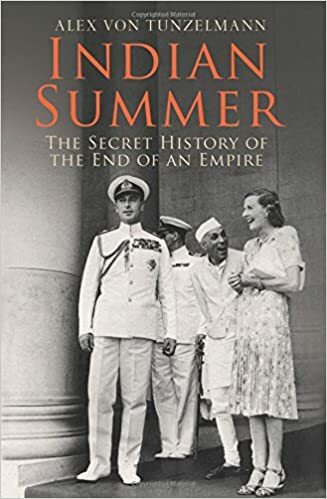 Indian Summer chronicles the personal and political lives of Edwina, Louis Mountbatten and like a cheap Bollywood love triangle India's first Prime Minister, Jawahar Lal Nehru. I'm being unfairly harsh, the books is an eloquent chronicle of India's fight for independence, but not how we imagined it to be. In this book, the author explores different personalities during those tumultuous times and how relationships between them decided the fate of India, Pakistan and even Britain. I'm of course referring to the Pre-independence and post Independence arena which consisted of stalwarts like MK Gandhi, Jinnah, Mountbattens, Nehru and Patel. These people were tied to each other not only professionally but also personally, they were the best of friends one day and sworn enemies the next. The story presented by Miss Tunzelmann, focuses on the Mountbattens more than anyone else. How Edwina and Louis Mountbatten fell in love in India, went back to England and got married. Their marriage did not turn out to be a fairy tale, but which marriage does? Edwina started seeing other men and Dickie(Louis' pet name) became embroiled with the Navy. Later, Dickie was made the last Viceroy of India, responsible for transferring power from the Britishers to Indians. Edwina accompanied her husband to India, despite their growing differences. 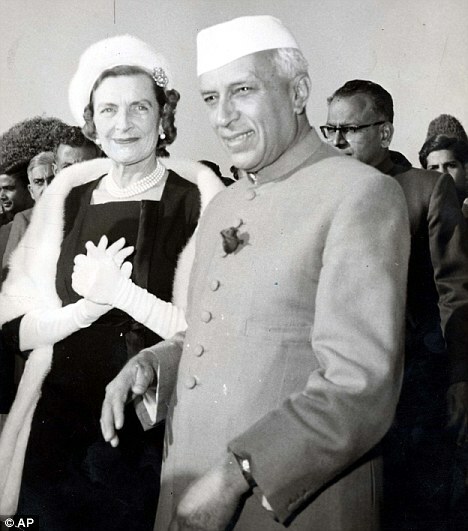 This is were Edwina met Nehru, she was smitten and he was bedazzled. Thus, began a love affair between the wife of perhaps one of the world's most powerful men and the future prime minister of the largest democracy the world would ever come to know. Growing economic pressure on England after the second world war, there were not enough resources to rebuild England, so how can resources be diverted to administer a behemoth hundreds of miles away from the homeland. Stigma of being a colonial power, people in the west were becoming extremely sensitive to the idea of subjugating another people, they had experienced first hand the imperial designs of Nazi Germany. A certain eventually is best tackled with acceptance, the Britishers did not wanted to leave on a sour note. The author is critical of Mahatma Gandhi, terming him as a failure. According to her not only did he fail to get India independence but on several occasions prevented and rallied against it. Gandhi in his own mind wanted independence in a totally pacifist, non violent way; Independence by any other means would be unholy. Gandhi was an idealist, a philosopher and his religious ideas are difficult to understand for Europeans. So, any cryptic messages that he sends to his followers or the author is understandable. They are not cryptic to the seekers but just to the believers. You will also find respect for First PM of India. An eloquent, intelligent and passionate politician who used his good relations with Mountbattens to give India an upper hand. Nehru was the architect of modern India, who spearheaded the Independence movement, was a protege of Gandhi, and his diplomacy won many friends. His endearing relation with Edwina Mountbatten forms an important part of India's story too! his access to Mountbattens made Jinnah despise him and the Mountbattens, whom he looked at with deep mistrust. Nehru also tried his best to assuage the fires of partition which claimed millions. No Bollywood movie is complete without the villain, in this story we have 2. Winston Churchill and Jinnah. Churchill who was an all round hater, a mid twentieth century version of Trump, was against India's independence, supported partition of India, hated Gandhi and was responsible for deaths of millions in Bengal when he refused food supplies to Bengal after a devastating famine; Churchill worship is common in the west but he was to India what Hitler was to Jews. Second villain in the piece is the brilliant mastermind, barrister, Mohammad Ali Jinnah, who single handily strong armed the British and Congress leaders in dividing India and formed the Islamic Pakistan. He was also chiefly responsible for the mass scale riots during partition. Had he lived the wily barrister would have ensured Pakistan would be a mild success instead of the abject failure it is today. Some interesting 'Masala' facts from the book, and the book has a lot of them. Nehru was adamant that Kashmir join India and not Pakistan, he had a special attachment to his ancestral land. Jinnah was so pompous and snobbish that he lost elections in UK, where people rejected him cause they thought the cadaver like figure was too much of a 'snob' even for the English. Gandhi slept naked with his niece to prove self control, another masala 'fact' by the author;we have to understand it is difficult for the westerners to comprehend eastern philosophy. Louis Mountbatten, last viceroy of India was killed by IRA terrorists when they blew up a boat.